Historically, an apprenticeship would have been grueling, a system that, today, could raise numerous red flags with respect to an individual’s civil liberties, even their basic human rights! Indeed, apprenticeship was likened more to indentured servitude than a path to learning a lifelong vocation. The most obvious departure from the past is that modern apprentices are free to live their own lives while training, and are no longer obligated to live with their teacher. Modern apprentices typically now receive upwards of 8000 on-the-job training hours in addition to hundreds of classroom instruction hours. They are entitled to tiered wages as they progress through their respective programs. Once an apprentice completes his or her course of study, that individual is considered a journeyman*. After spending three or more years as a journeyman, an individual has the option of taking the Master’s exam. Successful completion of that step earns a person the title, salary, and privileges that come with being considered a master by their peers. Professional expectations and responsibilities are greater as a Master technician. Masters are expected to know all facets of their trade and are expected to be able to train and supervise newer, less experienced workers. The National Inspection Testing and Certification Corporation (NITC) is proud to be an authorized certifying entity for individuals seeking journey certifications and master certifications as they pertain to the Uniform Plumbing Code (UPC) and the Uniform Mechanical Code (UMC). NITC’s plumbing and mechanical certification exams seek to establish minimum requirements and standards for the protection of public health, safety, and welfare through code compliance. To that end, master plumber and master mechanical candidates are qualified individuals who can demonstrate mastery of their trade and are skilled with respect to management, planning, and blueprint reading along with the practical installation, repair, and service of plumbing or mechanical (HVACR) systems. Similarly, candidates for journey level plumbing and mechanical certification are qualified individuals who can demonstrate journey level competence within the scope of their respective trades. A journeyman will be proficient in blueprint reading, jobsite safety, and supervision along with the practical installation, repair, and service of plumbing or mechanical systems. Therefore, whether you’re a training director, association representative, employer representative, or an individual applicant, National Inspection Testing and Certification Corporation (NITC) is there to help advise you along the way. Contact NITC at (877) 457-6482 to learn more about how our products help prepare the most qualified, most reliable, and safest trade professionals possible thanks to our wide range of industry certifications. 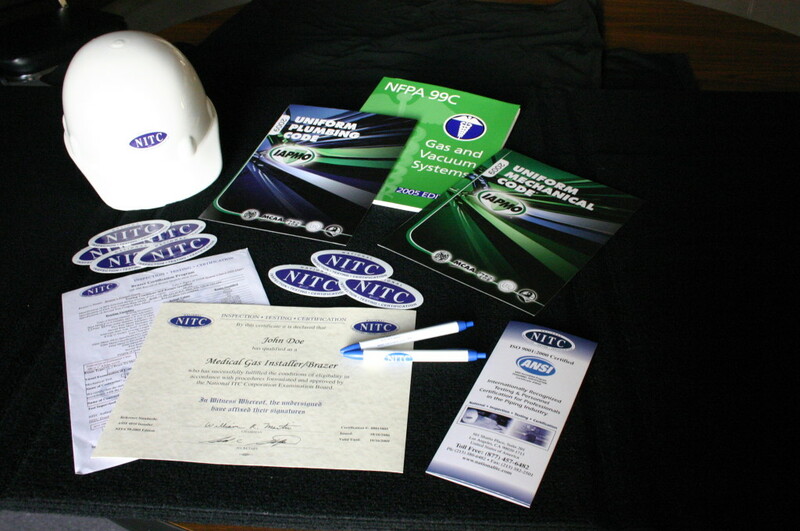 NITC will help your business exceed customer expectations, so have your personnel certified with the certification company, NITC, today! * The term “Journeyman” is applied to both men and women and it refers to individuals who have completed their apprenticeship training, are fully educated in their trade or craft, but are not yet considered a master.